YellowEye wrote: Nom, nom. 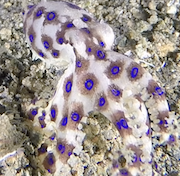 Oooh, the blue tinge in the background on that white-tip nudi shot is pretty cool! Consider cropping it a bit? Nom, nom. Oooh, the blue tinge in the background on that white-tip nudi shot is pretty cool! Super Tasty!! Nice work Love that last nudie, it's glowing! !